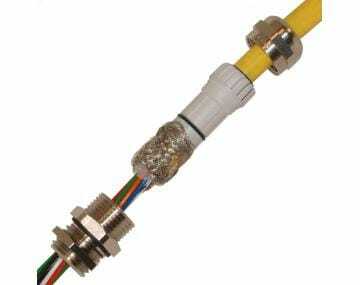 TPC Wire & Cable Corp. cable glands offer protection and relief, extending the life of your cable. 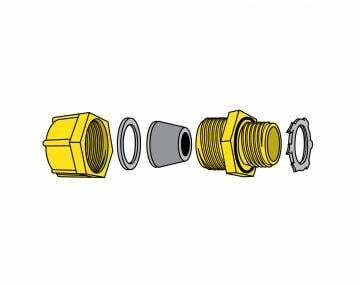 We offer a full product family of cable glands in aluminum, nylon or stainless – with or without strain relief. 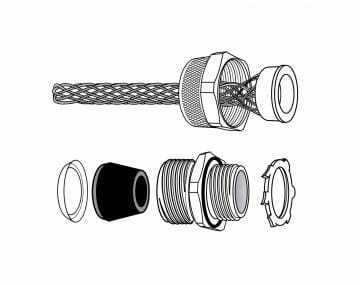 Specialty cable glands include heat and temperature resistant glands and EMI shielded glands. We take pride in being one of the top cable glands manufacturers and our customers benefit from our dedication. 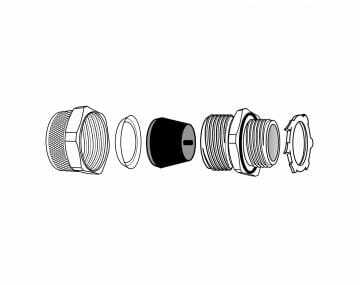 Please click the image of a product to begin browsing our selection of cable glands. Cables often go unnoticed in the workplace, but they are relied on more than you might think! Connected to a wide range of appliances and equipment in every industry, cables are essential in can be used to ease operations in extreme temperature, impact, flexing, abrasion, tension and chemical environments. Cable glands provide strain relief while in application ensuring the integrity of your cable assembly. Do you work with instrumentation, electrical energy, information and telecommunication cabling on a daily basis? If so, cable glands (otherwise known as fittings) could prove useful. 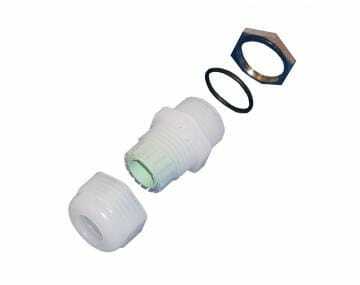 These products offer pressure relief and are designed for different fittings. 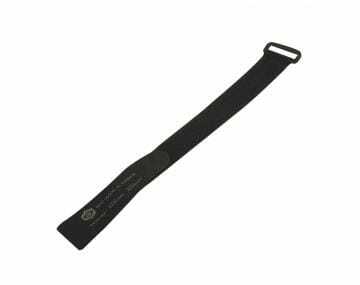 They work by sealing cables on virtually any device to prevent damages to the end of the equipment. Available in a range of durable materials — such as plastic, brass, aluminum and stainless steel — they offer an excellent advantage to multiple applications and situations. You ought to think of a few factors prior to purchasing fittings from a cable gland manufacturer. Before you purchase one of our specialty products with EMI shielded and temperature-resistant glands, decide what you will be using it for. Once you have decided, consider the mounting hole diameter, adjustable diameter and cable diameter. Whether you are investing in these products from a cable gland manufacturer because you want to maintain good pressure or prevent fluid ingress and dust, we feel confident that our range of goods will extend the life of your cable, while providing protection and relief. Do you work in a hazardous location? If so, protect cables with hazardous area cable glands rated for that environment. Grip-Seal Body - Specially designed, the grip-seal body keeps electromagnetic interference (EMI) at bay, and offers reliable electrical ground. O-ring - This forces the braid shield against the body's inside wall, which brings the cable braid and grip-seal wall closer together for maximum performance. Friction Ring - The material of this ring differs, based on the product. Both nylon and nickel-plated friction rings prevent contaminants, chemicals and oil from entering the gland and damaging the concealed wire. Flat Festoon Cables - If you need a gland specifically for flat festoon cable, we’ve got you covered. 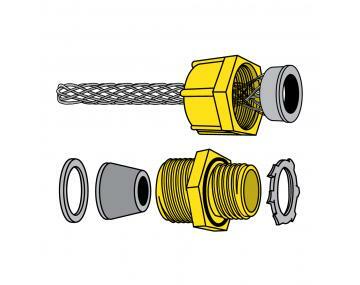 Flat festoon cable glands are specially designed with sealing bushings to fit this flat cable. It protects against moisture, dust and chemicals. The glands endure temperatures up to 250°F.